Jacques Lucien Monod was a French biologist who was awarded a Nobel Prize in Physiology or Medicine in 1965, sharing it with François Jacob and Andre Lwoff "for their discoveries concerning genetic control of enzyme and virus synthesis". He and François Jacob showed that the living cell controls its manufacture of proteins through a feedback mechanism analogous to a thermostat. Born in Paris, he was also awarded several other honours and distinctions, among them the Légion d'honneur. Monod (along with François Jacob) is famous for his work on the Lac operon. Study of the control of expression of genes in the Lac operon provided the first example of a transcriptional regulation system. He also suggested the existence of mRNA molecules that link the information encoded in DNA and proteins. Monod is widely regarded as one of the founders of molecular biology. 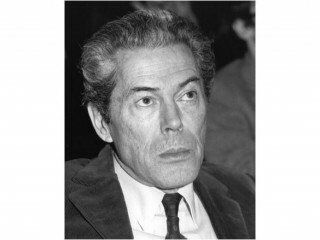 View the full website biography of Jacques Monod (en).